The new Explore Scientific LOSMANDY G-11 with PMC-8 Electronics is quite unique and special. 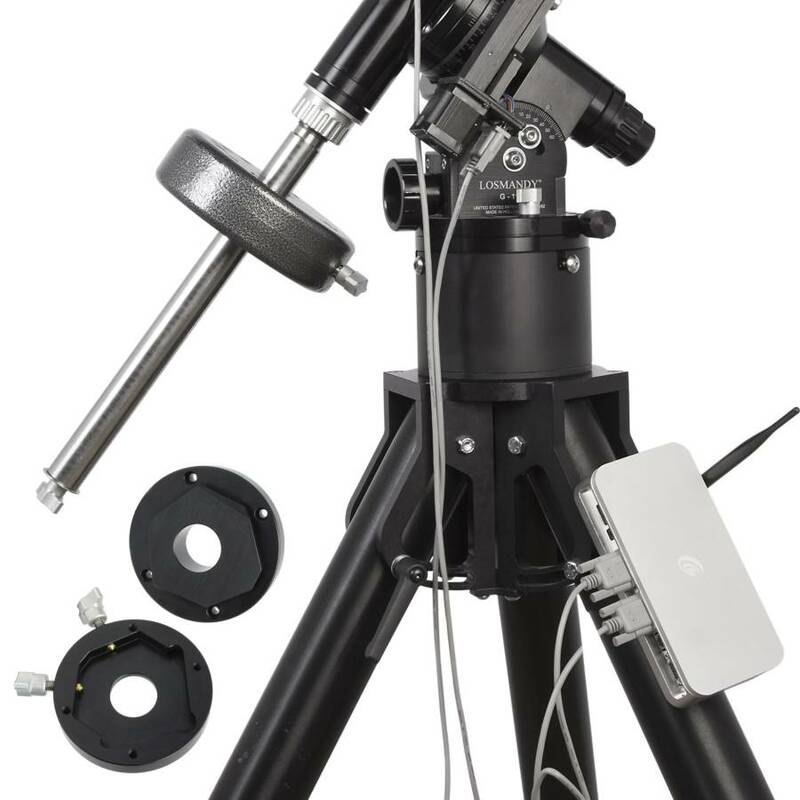 Most of the serious amateur mounts on the market today offer single processors. The PMC-8 electronics are extremely robust. They include a 2-Channel Multi-Processor Micro-controller with 8 CPUs that run independently and are completely deterministic in their behavior, thus the name PMC-8. 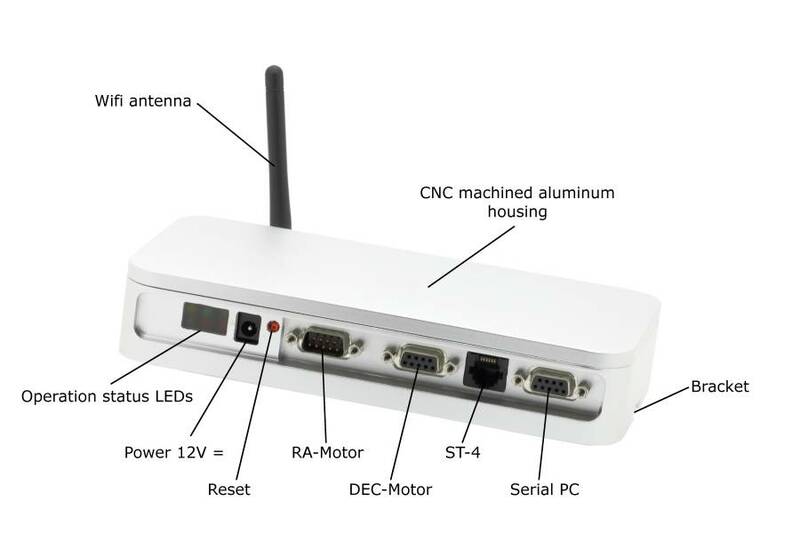 Within this multi-processor system is a 64 Kbyte EEPROM Non-Volatile Memory bank used to store parameters; a Wireless Ethernet 10/100 with full IP function which permits operation from anywhere using a browser, ASCOM, or APP over the web or serial port; and Non-Volatile Memory used to store user selected parameters. The electronics also includes an Auto-Guide port (ST4 contact input) and features the only wireless ASCOM driver on the market. The belt driven system uses 2 timing pulleys (1-45 groove and 1-10 groove) with fiberglass re-enforced neoprene belt connected to a Nema16 bi-polar stepper .67 amps 12ncm motor then connected to the worm. Precise bearings in both axes ensures minimal backlash at all nine possible tracking speeds. The included battery pack (12 V) takes eight size "D" batteries. 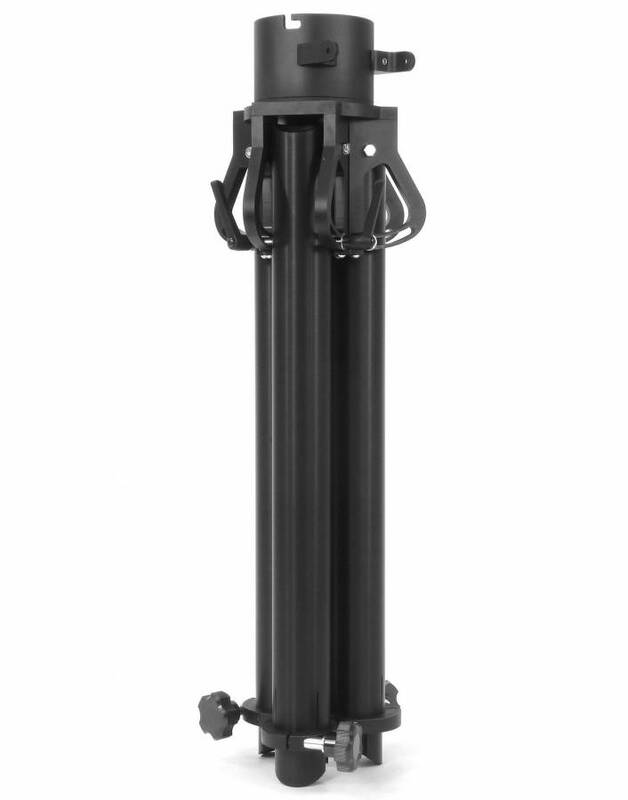 The head rests on a very tough and rigid CNC machined LOSMANDY Aluminum field tripod. 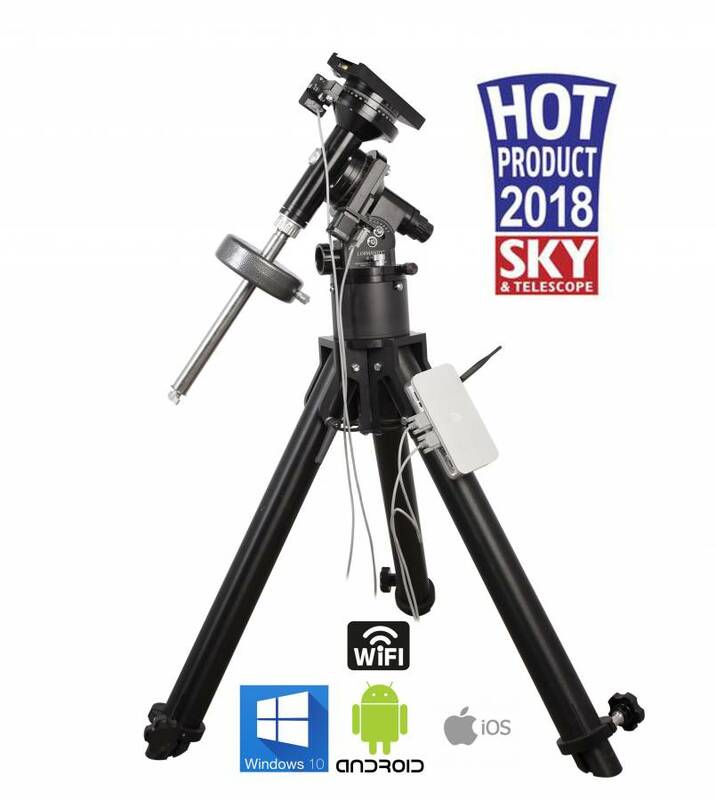 This system is all controlled from a tablet, notebook or desktop pc with 7" display and WIN8.1, WIN10, iOS or Android 4.4 with a beautiful full graphical user interface using our very own ExploreStars OpenGoto® Software. 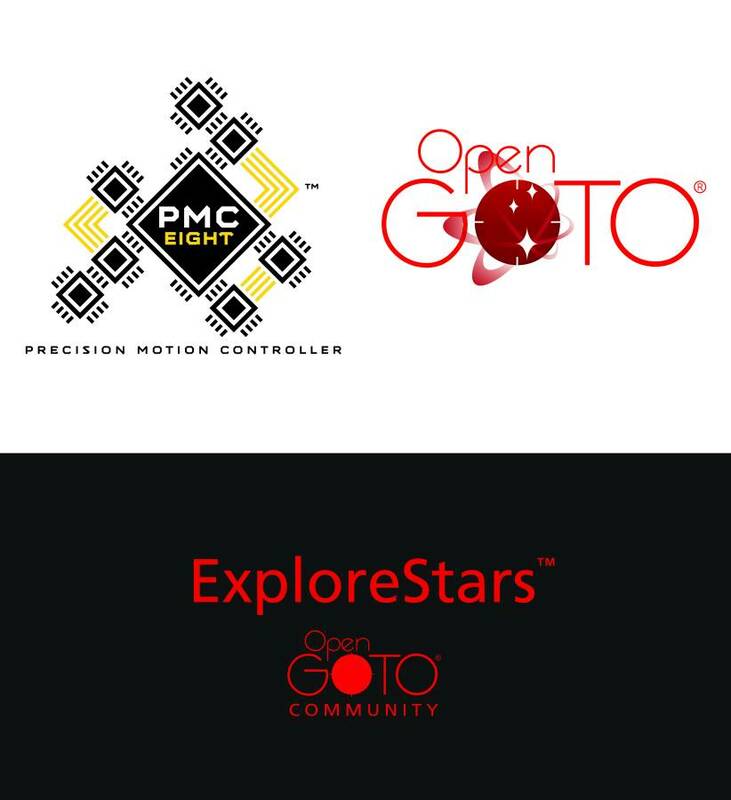 The ExploreStars OpenGoto® Software has the same basic functions as most all other mounts on the market today. 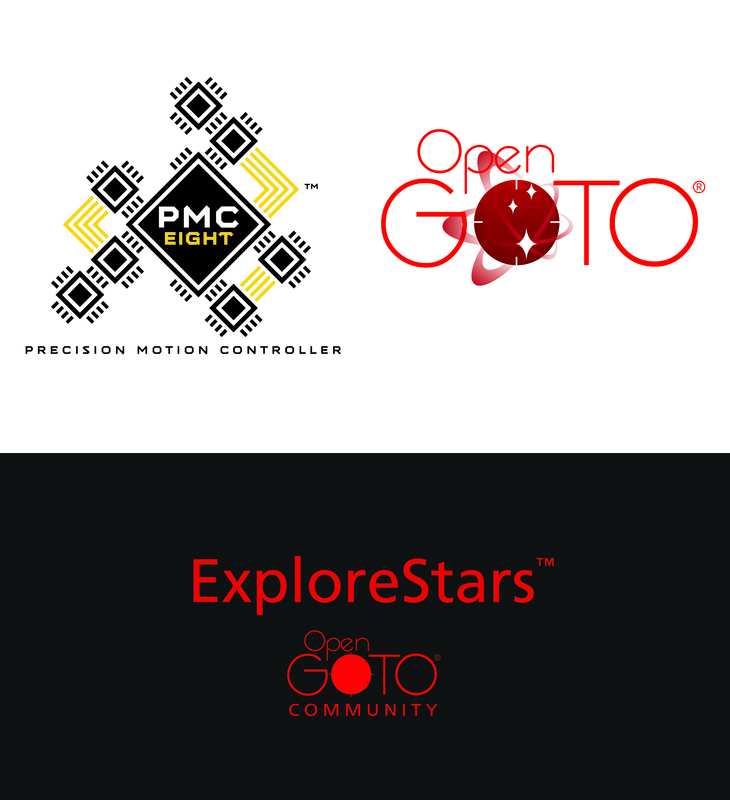 ExploreStars is a free App downloadable from the Microsoft App store and GooglePlay. 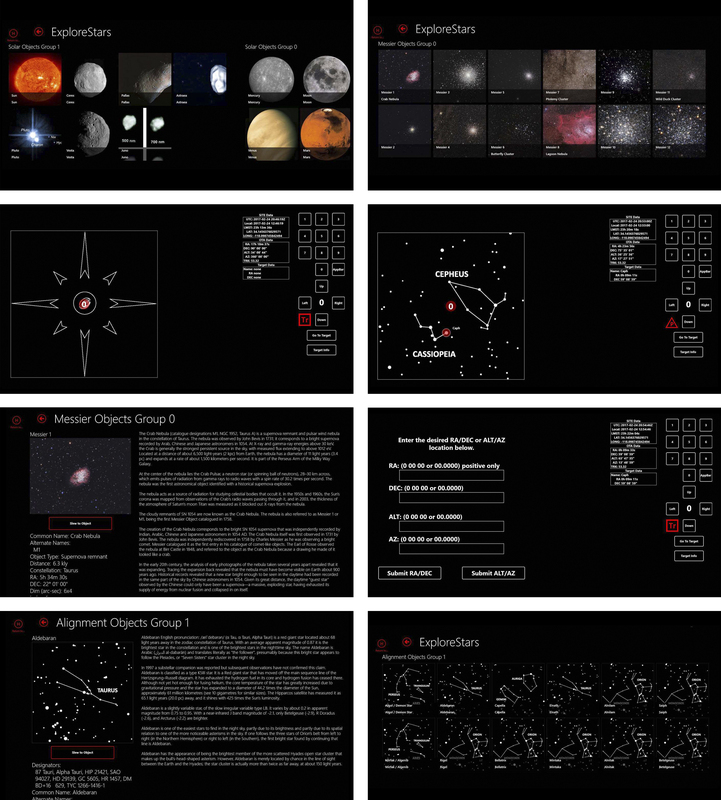 The basic download includes a standard 2 star or 3 star alignment procedure, over 70,000 star database, the Messier Catalog and Solar System objects. The software interface features a Classic four-button pattern for guiding, centering, moving and slewing on the touch screen of your tablet or phone. Pull-down menus open to offer the intuitive 2 star and 3 star alignment procedure, selection of the various catalogs, guided tours, the sync button, the park position, search feature and the coordinate input screen to enter RA and DEC coordinate information. Numerical key pad allows for selectable and user enterable GOTO speeds for slewing, centering and guiding rates. You can also set sidereal, king, lunar, solar, and user defined tracking rates. What makes this software different is that YOU can write your own code and import it into this software. Create a Messier challenge. Create a selectable list of objects you want to photograph and program that information into the software. With the ability to write your own code, you can create whatever your heart desires. Share it with the community of astronomers that are using this software. In addition, this mount can be controlled by any ASCOM compliant software using the built-in wireless ASCOM driver. GPS-compatible and auto time / date settings are dependent on optional receiver on computer or tablet. Here are most of the ASCOM software packages available for use with the Explore Scientific / Losmandy G-11 with PMC-8 mount: ACP; APT; AST / ATC & Ricerca (Omega Lab); AstroArt; AstroMB; Cartes du Ciel / Sky Chart; CCD AutoPilot; DeepSky; Deepsky Planner; DFM Engineering; Earth Centered Universe Pro; EasySky; Eye and Telescope; Project Pluto; Hallo Northern Sky; Maxim DL; MaxPoint; PinPoint Astrometric; Prism; Sequence Generator Pro; Sidereal Technology; The Sky; SkyMap Software; SkyTools 3; Star Atlas PRO; Sky Observer; StarryNight; Stellarium; Virtual Moon Atlas; and WorldWide Telescope. 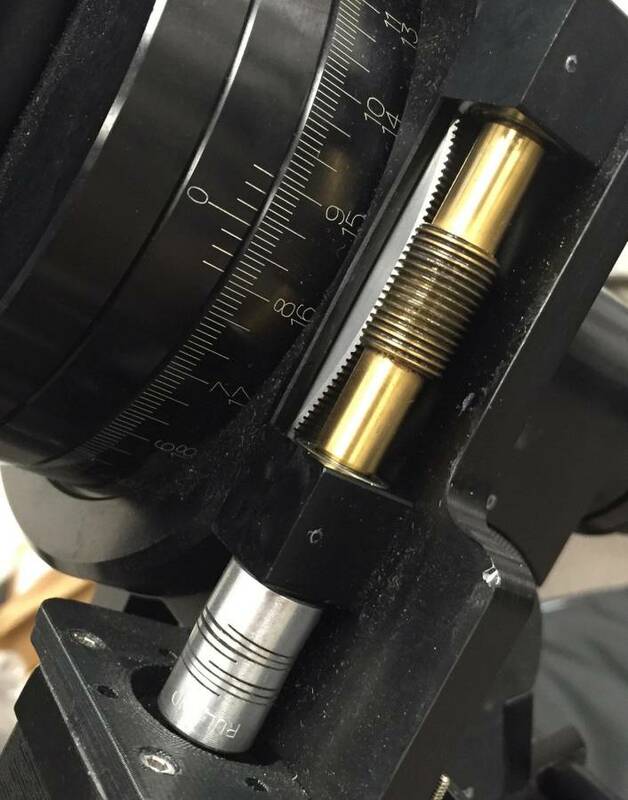 We also include the Losmandy G11 RA Extension Kit so you can slew past the meridian and disassemble the RA and Dec axis for easier transport.